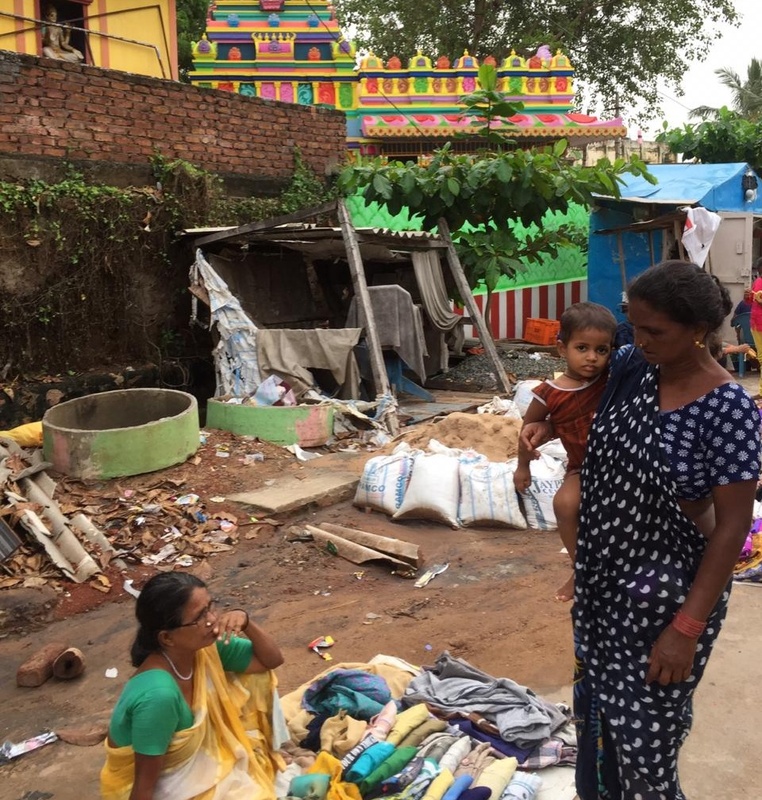 In the Resilience yet again blog last month, I discussed the devastating impact of the 2014 Cyclone HUDHUD on Pedda Jalaripeta slum. This month’s post will look at how the Slum recovered from that Cyclone. 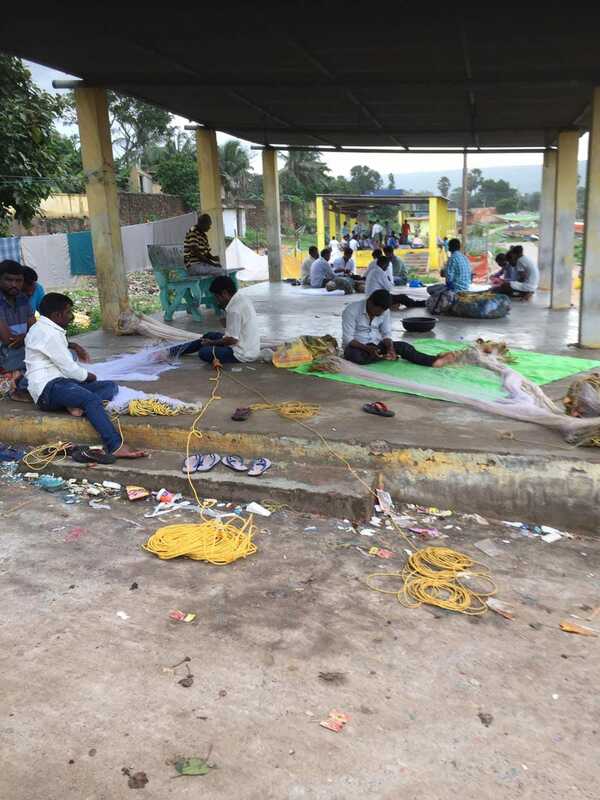 Hridhay Monangi a high school student from Fremont, California visited the Pedda Jalaripeta slum in Summer of 2018 and wrote the second part of this blog. The Pedda Jalaripeta slum is essentially a fishing village and maintains its cultural integrity in the midst of a booming urban region. The slum has three distinct public spaces, the fishing beach, the streets, and the temples. Working Beach: Pedda Jalaripeta’s beach is a working fishing beach. It is something of a truism to say that the lives of the PJ slum residents are oriented around the sea. The fishermen spend their days casting craft into the rough waters of the subcontinent’s coastal belt. Once the fishermen return to the shore with the catch, the fisherwoman take over, they collect the catch, take it to the fishing harbor a few miles out of the community and auction the catch to fish vendors. 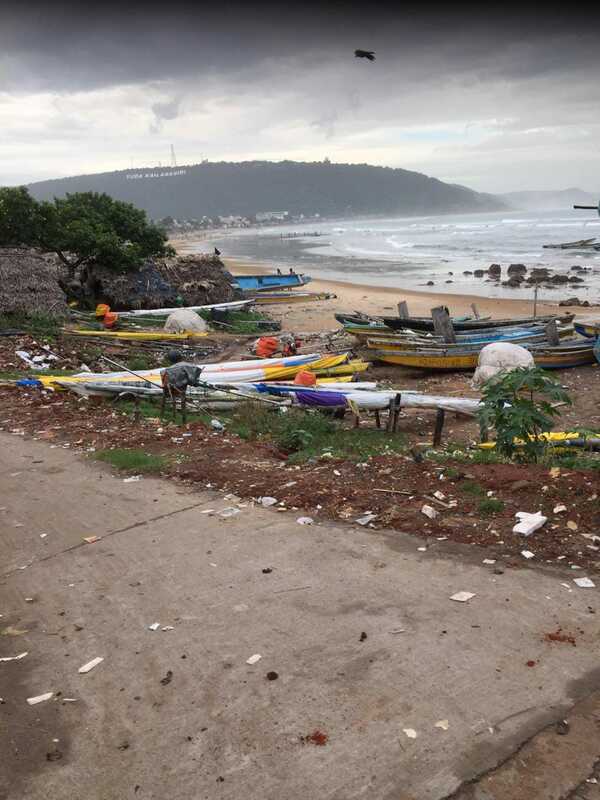 The PJ slum shoreline is crowded with fishermen boats, boat engines, open sheds to rest and other fishing activities. 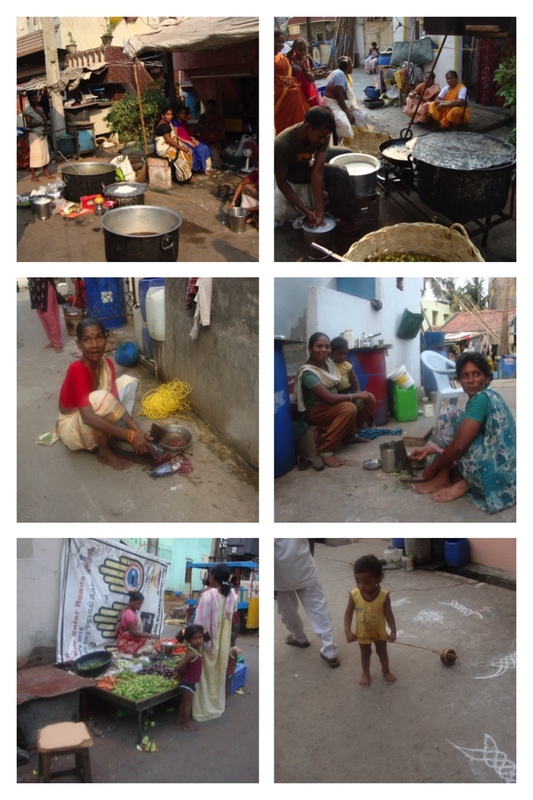 Streets as an Extension of Home: The first two images from the collage below show the preparations for the large festival; the PJ slum is a very close-knit community where the large life events in the family such as marriage and death are celebrated or mourned with a family feast. None of the houses in the community have the space to cook or seat large groups of people. On those occasions, the streets become the living/dining room for that evening and night. Traffic is diverted to use other streets and the residents cook right on the streets. After cooking, the streets are thoroughly cleaned and the guests sit on the streets together to enjoy the feast. Such communal activities strengthen the bonding within the community. 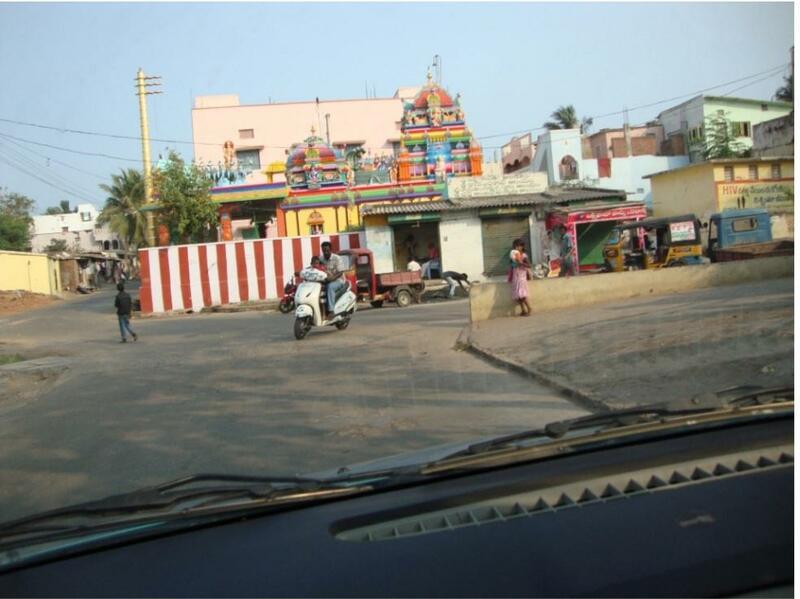 The temples are a critical part of the social networking in the Pedda Jalaripeta community. 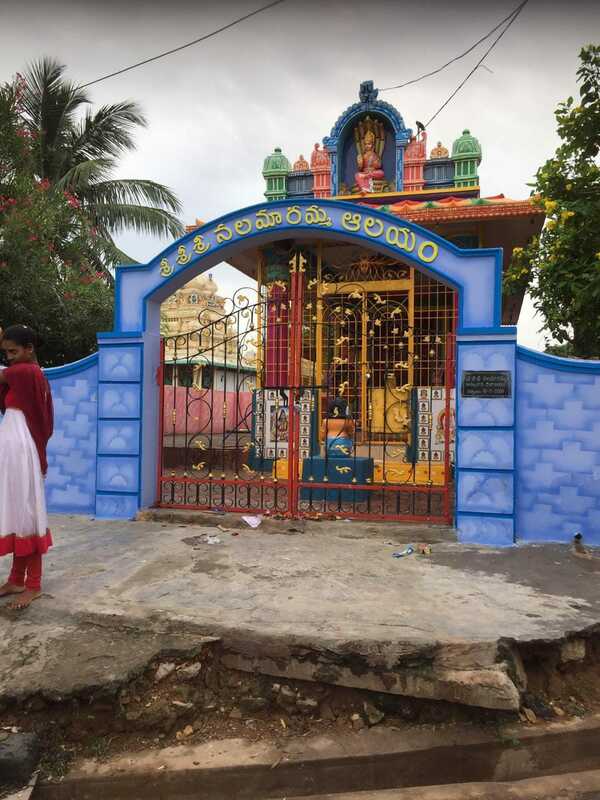 Since the slum redevelopment in 1985, Grama Sabha elders built four temples at the entrance of the community through several fund-raisers within the community. 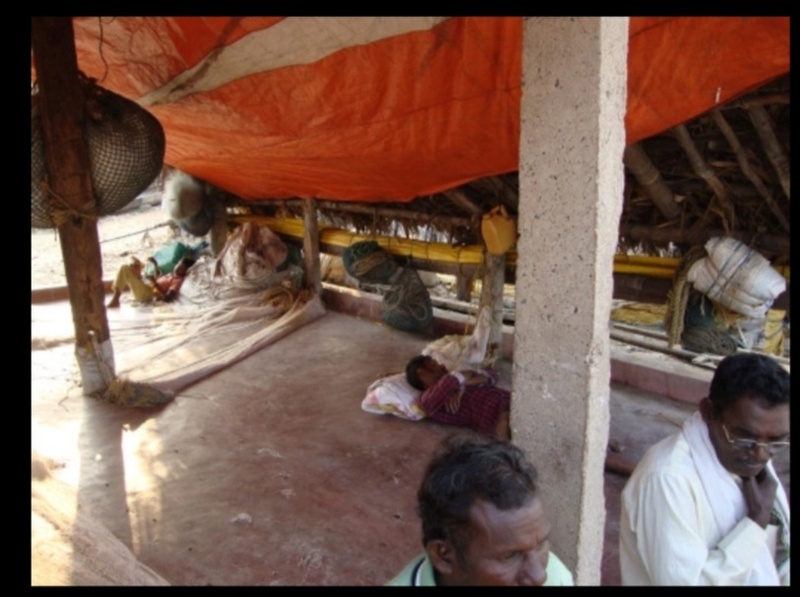 One of the most successful fundraising campaigns is the fishing for the temple day; on a designated day the fishermen of the slum donate all their fishing catch to the Grama Sabha elders for the construction of the temple. In 2006, the fishermen donated Rs. 1,500,000 in three fishing days, for the construction of the Ramalayam temple (shown below). Slum dwellers that are not fishermen are asked to donate cash directly for the temple construction. After the construction of the temple, slum dwellers especially the fishermen continue to donate 1% of their income for the temple upkeep. 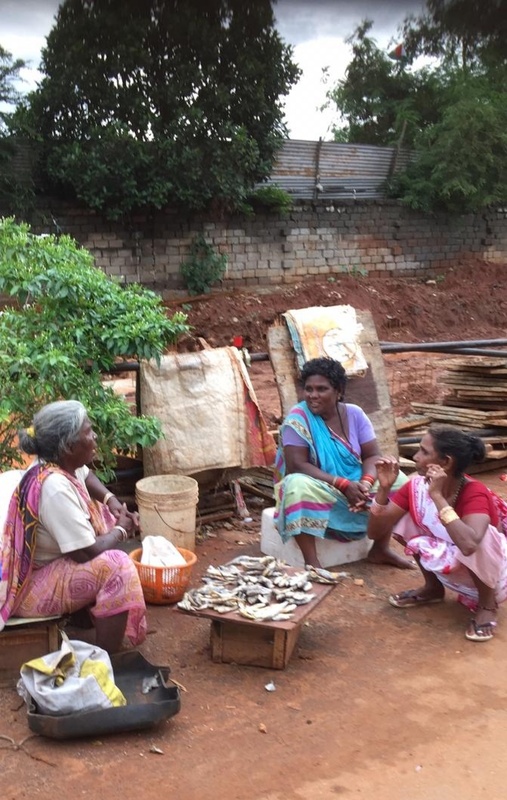 On August 15 this year, I visited the Pedda Jalaripeta slum in the city of Visakhapatnam. Entering the slum, felt like I was entering a small town and leaving the bigger city. The streets were filled with people who were celebrating India’s Independence Day. The people on the streets were parading and chanting about the Indian Independence. After while I was noticed that people stopped celebrating and went on with their daily lives. My Grandfather and I were walking to the right side of the town where all the markets are located. The market was crowded with many people buying food. When I looked behind the road was completely cut off and they were constructing new buildings. Many buildings were getting renovated and they were expanding this small town. Next, my Grandfather and I went to the beaches. The first thing I noticed that there were no boats on the ocean. 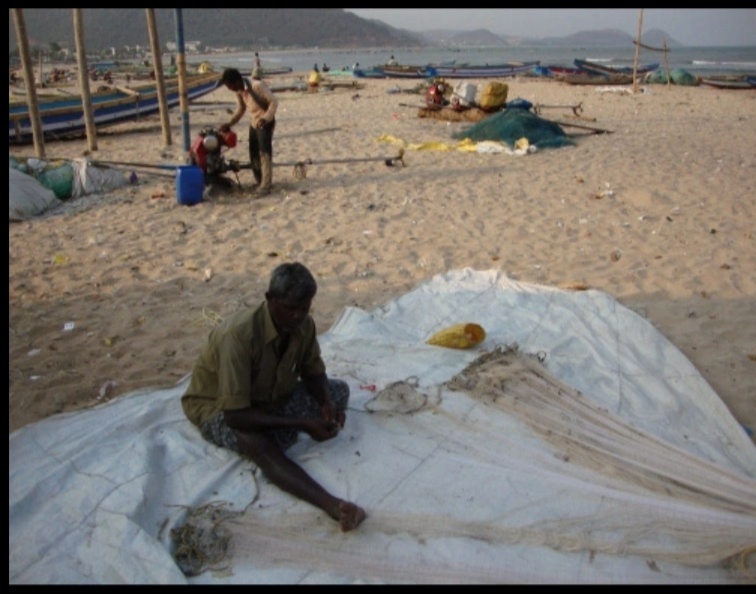 As I walk around the area, I notice some fishermen were making their own fishing nets while others are just playing cards. We talked to some fisherman and they were saying today was a holiday. This is why every fisherman was just having fun or doing other works. The beach area is completely filled with these wooden huts where all the fishermen stay inside of them. That day was Indian Independence Day which gave them the reason not to work and just enjoy what they can for those 24 hours. Finally, my grandfather and I observed the temples that they have built themselves. The temples were decorated very beautifully. There were three temples there. Inside of these temples were many gods and goddesses… These signify a lot to the villagers because they were the ones who built the temple. People came back outside and started to celebrate again. People were having a great time outside of the temples. Children were playing in front of the temples. Everyone was enjoying that Indian Independence Day. That ends my one-day journey through Pedda Jalaripeta. This was a great experience for me. I was able to observe areas that are in much worse conditions than the one I live on. This becomes a motivator for me to try to help others that need it. I would definitely go back there once I get a chance. That will allow me to look at the many differences that will come. Thank you, a lot, for reading my blog. Walking through Pedda-Jalaripeta, I recognized the stark differences in the infrastructure, especially when compared to Fremont, CA. However, what was interesting to me was the hustle and bustle along the street in Fremont and PJ slum were so similar. The streets of the Pedda Jalaripeta and Fremont suburbs have kids playing in their front yard. While adults are mostly shopping or walking in the PJ slum, in Fremont you can find a lot of joggers and runners and a few people running errands. I feel that irrespective of the differences, the social need for interaction remains the same. I was however truly surprised that these fishermen who make less than a dollar a day were willing to donate their hard earned money to build temples for their community. That aspect of their social connection was deeply moving and stuck with me for a long time. I would like to go back and talk to some of the fishermen the next time I visit.